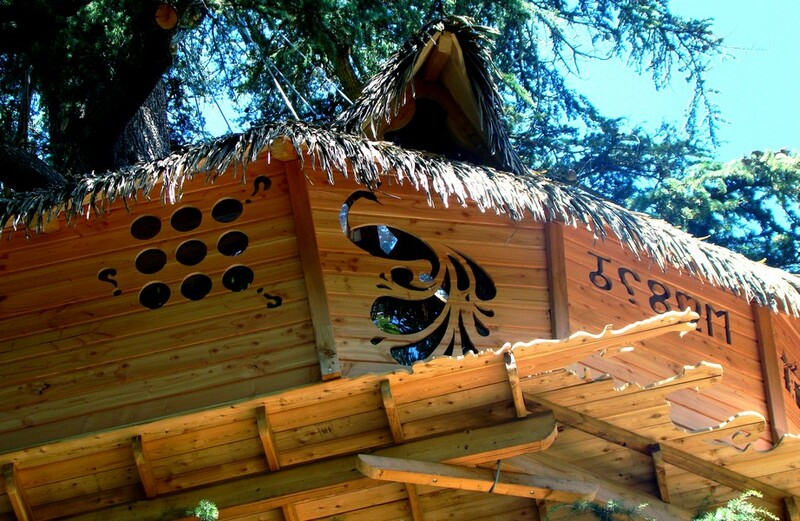 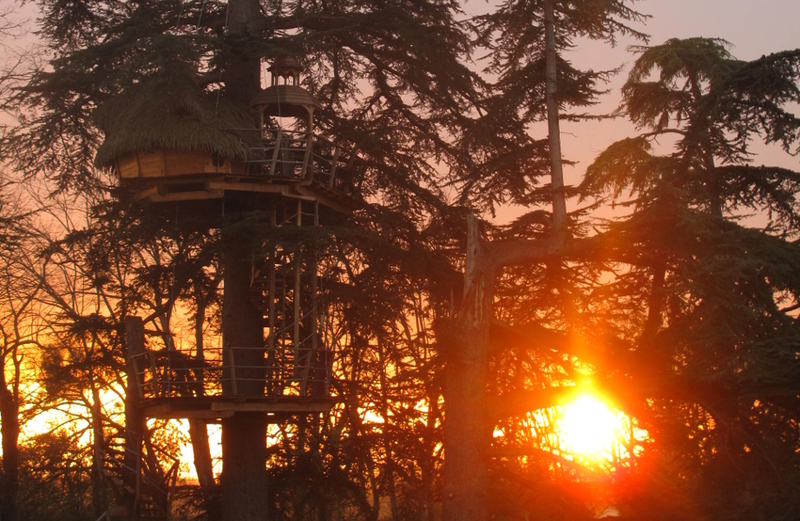 The Enigma tree-house stands at 11 meters high on a 100-years-old cedar tree. 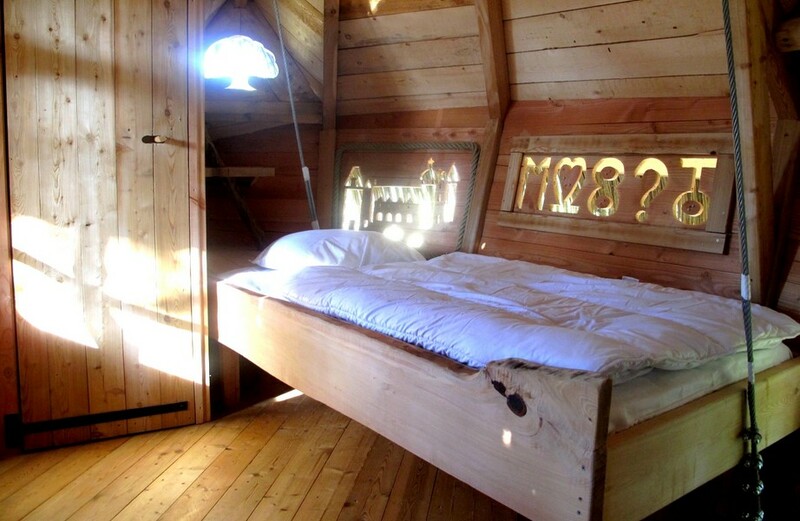 It can accommodate two to three persons thanks to a double bed and a single one. 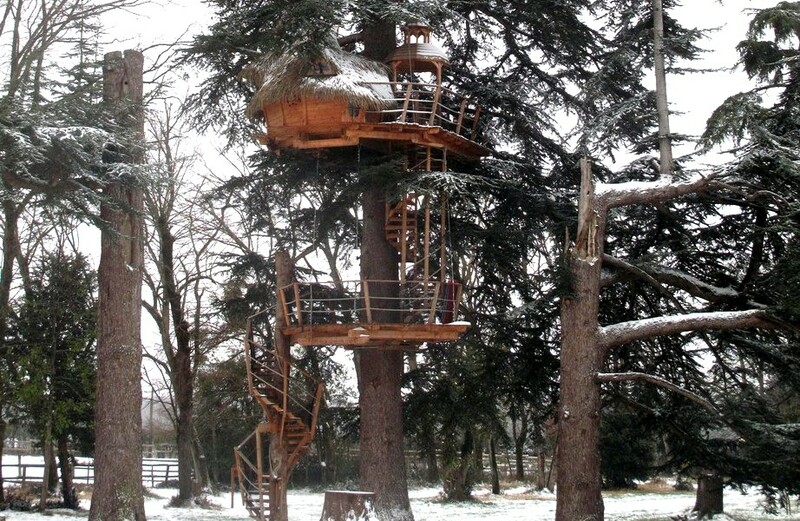 You can reach it thanks to two spiral staircases separated by an intermediate terrace. 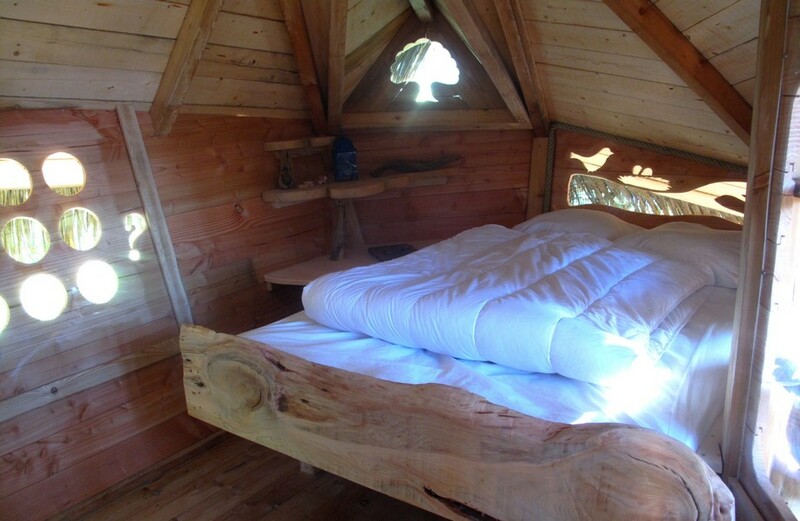 A kerosene heater enables you to create a warm cocoon during winter. 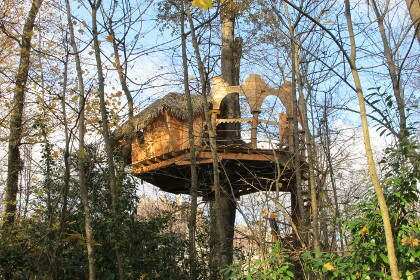 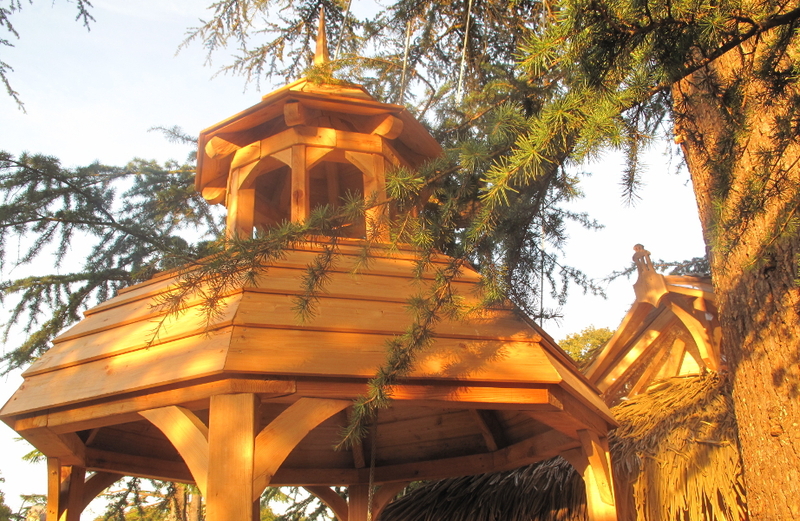 This tree-house looks like a castle because it has been built to pay homage to the Usson Castle. 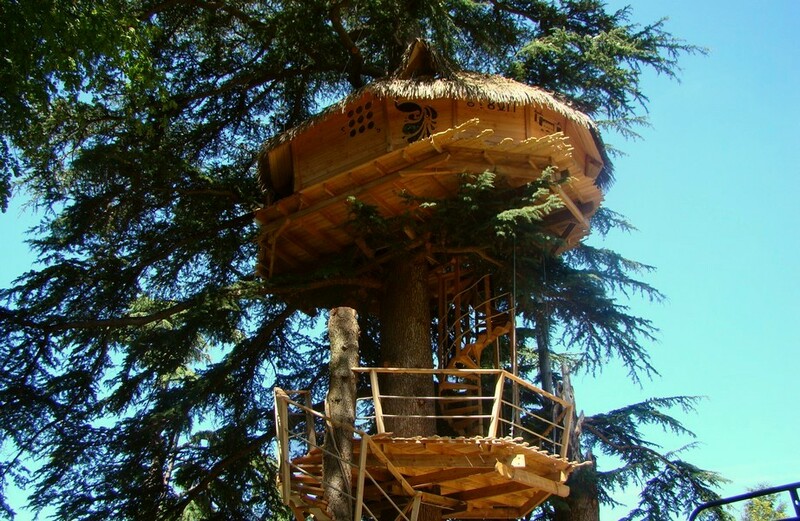 You will see that the Enigma tree-house has a round tower which echoes to the Usson Castle‘s one. 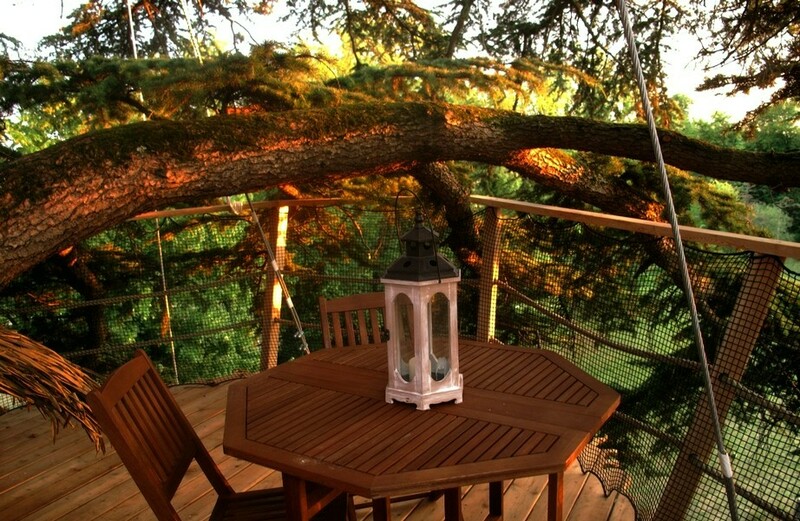 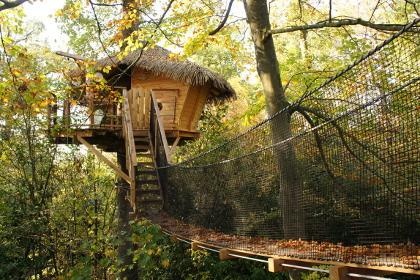 From this tree-house, you have a wonderful view on the castle. 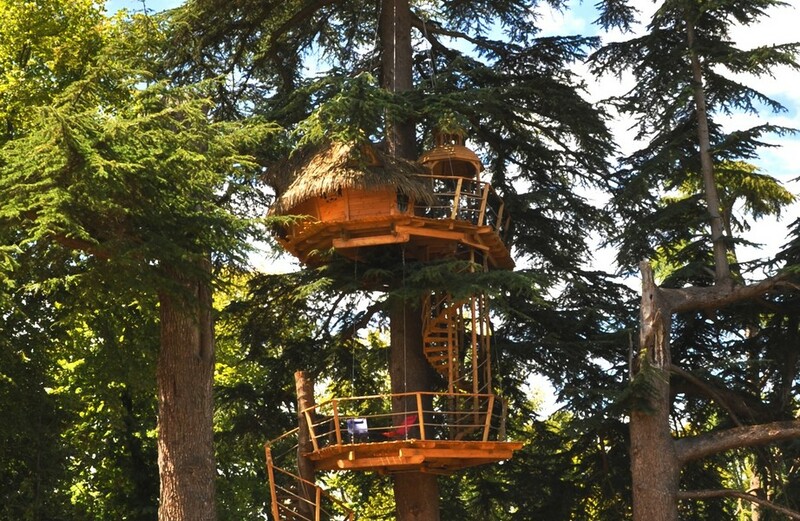 Let’s remind us that during the Renaissance period, when the Usson Castle was built, it was something “hype” to embellish your park with a little arboricultural house. 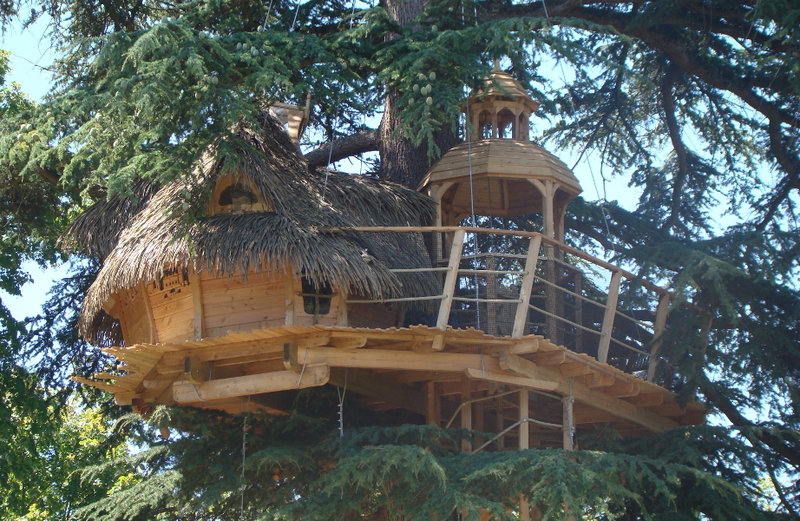 For example, the Medicis princess did it once (learn more about it on our page “Tree houses history“). 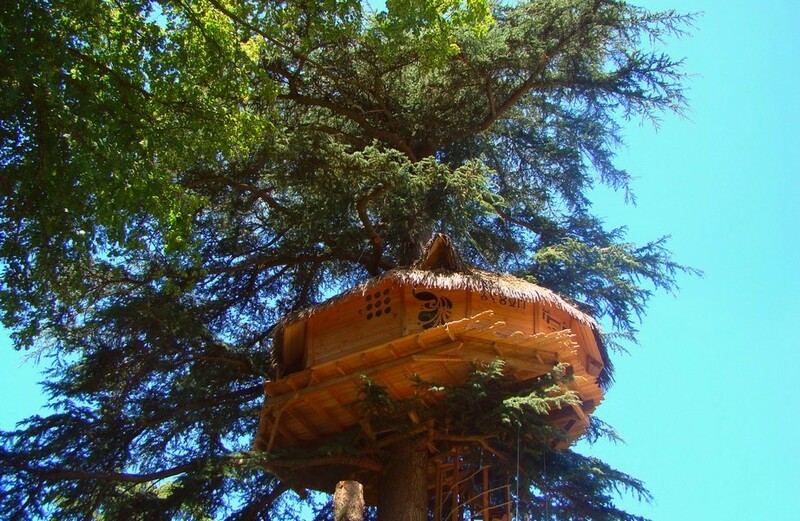 Moreover, this funny perched castle is full of little enigmas to entertain and amuse its visitors. 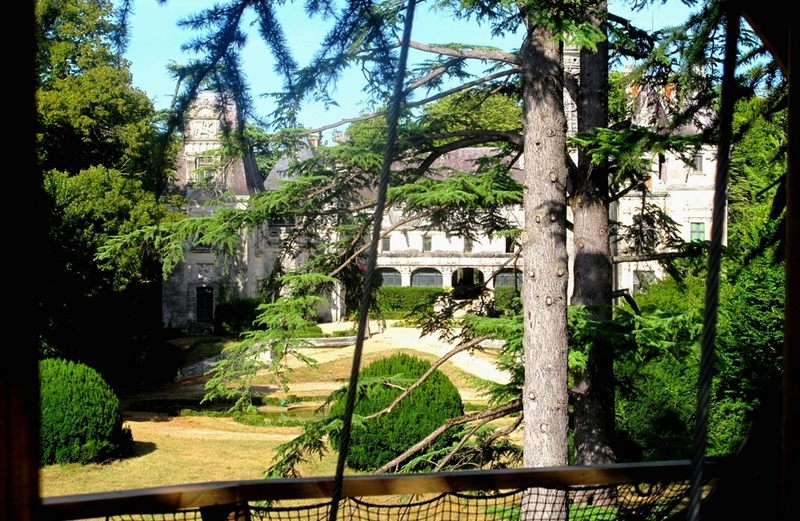 Indeed, let’s bear in mind that the Usson Castle is well-known for its treasure hunt “Le Chateau des Enigmes” ! 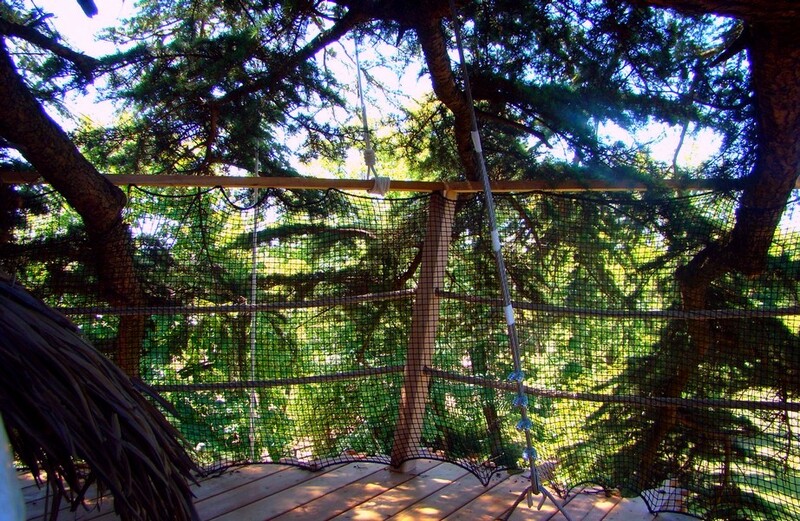 Finally, both of the tree-house terraces offer an amazing view on sunsets… A beautiful moment to enjoy with your lover around a packed-in-a-basket aperitif or a romantic dinner !